for a little girl is one of the most wonderful things an (old) girl like me can do. and pretty little 'pink' things. and of course....one of my favourite past times..
imagine this.... little two year olds wearing feathered wings carrying little backpacks to pre-school. when all these little angels arrived. Can you just imagine their little faces!! at these little beauties next time you're near them. mums, grandmothers, aunts and friends to play. ambivalence, in glamour, in hope and in beauty". and her images are just beautiful. You have a big fan in Marietta Georgia USA --moi! The lovely childrens tablescape and other photos are just delicious. Love the dolls and the dollhouse in the background. Coty, your table is so perfect. I love the choice of flowers and the baby's breath just couldn't be more perfect. The rose pictures and the angel child are exquisite. I loved looking at all the sweetness in your mosaics and photos. Just beautiful. Just found your beautiful blog - the little girl's tea is gorgeous. You captured the sweetness of the occasion perfectly. The little fairies must have been adorable. I'm a new follower, and now I am off to visit more of your blog! 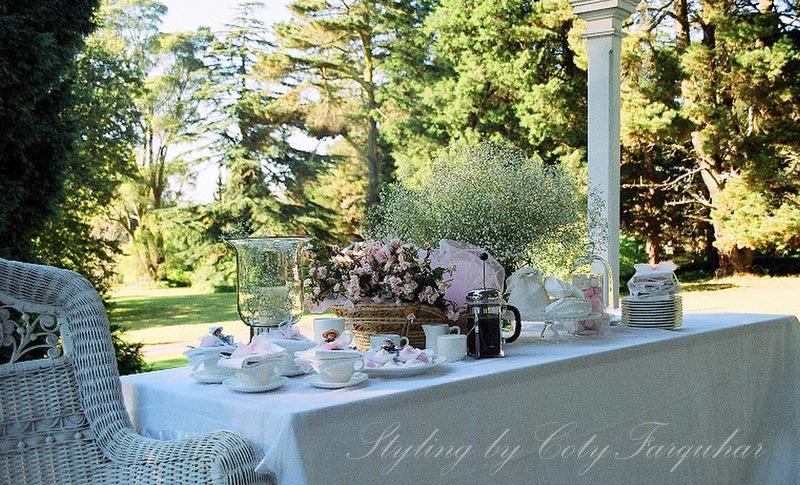 Coty, your table is breathtaking! Sooo beautiful! I want to see more of that sweet, pink doll house! :) I have a weakness for dollhouses. Mmmmmmm I can taste the sweetness of sugar, smell the heady scent of those roses, see a gorgeous afternoon on the veranda, and hear the little voices of angels. Oh to be a little girl again. I loved my baby dolls more than anything else on earth. A beautiful post Coty. Wish I was there. This is sooo beautiful,it seams as if everything you touch turns into something really special and breathtaking !! I am surprised and very honoured to read your comment on my blog and to see this collage of photos taken from there, since I'm a great fan of yours and have followed your blog for a long time, 2-3 years I guess, even before I had a blog of my own.I have left comments now and then and a moment spent here just lifts my spirits and make my day !! 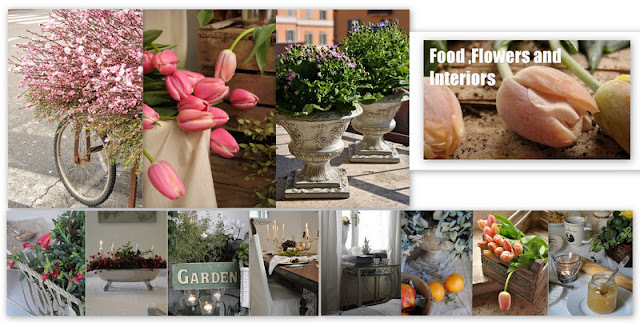 Love your blog, so yes, I will click and check out the other styling blog too. What a lovely tablescape and a gorgeous picture of the tea party. 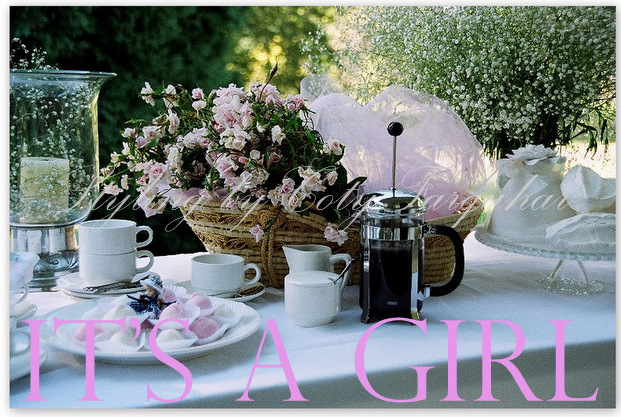 I don't know of any girl- big or little- who would ever turn down a pink tea party! Oh my goodness this is a gorgeous tea party! Love it. So beautiful...wish you had styled my baby showers years ago!